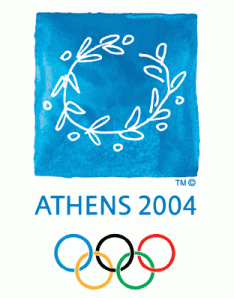 The 2016 Summer Olympics in Rio marks the sixth edition of the women’s soccer tournament at the Games, the first of which took place in Atlanta in 1996. The US women have been the dominant force in the tournament, winning gold in Atlanta, Athens in 2004, Beijing in 2008, and London in 2012. 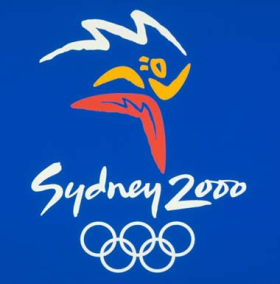 Their worst finish was silver in Sydney in 2000. Along with Sweden, who have never medaled, and Brazil, who the US defeated in extra time for gold in 2004 and 2008, the US is the only team to have qualified for each of the women’s tournaments. Following victory over Norway in the first Women’s World Cup final, hosted by China in 1991, the US was defeated by Norway in the semifinals of the 1995 Women’s World Cup in Sweden to finish third in the tournament. It was a devastating loss and the desire for revenge would be an ever-present motivator in the months leading up to the first Olympic women’s soccer tournament. But the possibility of winning a gold medal in the first Olympic tournament, and doing so on US soil, was perhaps an even greater motivator. US soccer budgeted $1.6 million for the women’s team, three times what was made available for the preparations of the men’s team. Winning the first women’s soccer tournament at the Olympics on home soil was the singular goal. 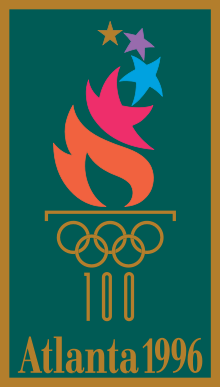 Preparations for the Olympics were interrupted in December of 1995 when nine core players—among them such names as Mia Hamm, Michelle Akers, Kristine Lilly, Julie Foudy, and Briana Scurry—refused to report to camp because of a contract dispute with US Soccer, only eight months before the 1996 tournament was due to begin. The dispute centered around team bonuses—the federation had offered a bonus of $250,000 if the US women won the gold; silver or bronze would result in nothing. A compromise was reached after a month of negotiations and training with the full squad under coach Tony DiCicco resumed. The US drew China, Denmark, and Sweden for its first round group. In front of 25,000 fans at the Citrus Bowl in Orlando on July 21, the US defeated Denmark 3-0 with first half goals from Tisha Venturini and Hamm, and a second half goal from Tiffeny Milbrett. In Orlando two days later, the US defeated Sweden 2-1. Venturini opened the scoring with an assist from Milbrett early in the 14th minute, Shannon MacMillan—who had found a place on the team first a replacement during the walkout before the Olympics— making it 2-0 in the 62nd minute. Although Sweden pulled a goal back only two minutes later, the US held on. On July 25 in front of 43,000 fans at the Orange Bowl in Miami, the US next faced China. While both teams were guaranteed to advance from the group, the chance to avoid Norway in the semifinals would go to the first place finisher. With Hamm sitting out the game due to injury, the match ended in a scoreless draw. Because of China’s superior goal difference, the US would face Norway in the semifinals on July 28. Some 64,000 fans filled Sanford Stadium in Athens, Ga. to see the US concede a goal only 18 minutes into the match. Despite controlling much of the match, the US failed to find an equalizer until Akers buried a penalty kick after Norway handled the ball in the box. Soon after, Norway was down to ten players when Hamm was fouled from behind. Still, the US could not find the winner and the game went into sudden death extra time. Six minutes into extra time, DiCicco subbed in MacMillan for Millbrett. Four minutes later she scored the game winner off of a pass from Foudy. The US had found its revenge and was headed for the gold medal game. There they would face China, who had defeated Brazil 3-2 in the other semifinal. In front of 76,000 spectators, then a new record for a women’s sporting event in the US, MacMillan opened the scoring for the US 19 minutes into the game. China equalized in the 32nd minute and the game remained tied at the end of the half. The US found the winner in the 68th minute when Milbrett finished a play that began with a through-ball from Hamm to Fawcett, who then centered for Milbrett’s strike. Despite the fact that the US had beaten the world champions on the course to winning the first-ever gold medal for the event, NBC did not broadcast the historic final and only ran highlighted version of the game. The US entered the 2000 Summer Olympics in Sydney as world champions after their spectacular triumph at the 1999 World Cup, hosted by the US. They entered the tournament under the leadership of April Heinrichs, who had replaced Tony DiCicco after his retirement from the national team. The legendary Michelle Akers had also decided to retire from the game. Still, 15 players from the World Cup-winning team would be on the US roster at the Summer games. The US was drawn into the Group of Death and would play Norway, China, and Nigeria to advance to the semifinals. They faced Norway on September 14 with Millbrett opening the scoring for the US in the 18th minute. Latching onto a long clearance from US goalkeeper Siri Mullinix, Millbrett raced through the Norwegian defense to fire on goal. When the shot was deflected she finished from seven yards out for the early lead. In the 24th minute, Hamm ran on to a ball from Lily to make it 2-0, the final scoreline of the day. On September 17, the US faced China, who had defeated Nigeria in their first game. The US took the lead in the 38th minute off of a Foudy header but, despite numerous chances, could not further capitalize. China equalized in the 67th minute and Lilly’s penalty kick in the 74th minute was saved. The game finished 1-1 with both teams tied in the group and both teams in need of a win in their next match to guarantee advancement to the semifinals. The US topped Nigeria 3-1 on September 20 in the final game of group play with first half goals from Chastain and Lilly and a second half goal from MacMillan. While the US won the group, China was eliminated after falling to Norway 2-1. The US faced Brazil in the semifinals on September 24 in a tough game with few scoring chances. But in the 60th minute, Hamm capitalized on a Chastain free kick from 45 yards out. After being headed on by Lorrie Fair, Milbrett and the Brazilian keeper collided and Hamm finished the loose ball. The US held on for the 1-0 win to advance to the final on September 28 when they would face their old nemesis, Norway, who had defeated Germany 1-0. In the 5th minute of the final, Millbrett opened the scoring for the US, only for Norway to equalize in the 44th minute. While the US dominated the second half, they again could not find the decisive strike and Norway got the go-ahead goal in the 79th minute. The US fought desperately for an equalizer and with one minute left in stoppage time, Milbrett headed a cross from Hamm into the back of the net. Norway’s sudden-death winner came 12 minutes into extra time. Despite coming from a clear handball, the US protests were for naught and the team left the tournament as silver medalists. The USMNT had to chance to reassert their supremacy at the 2003 Women’s World Cup. 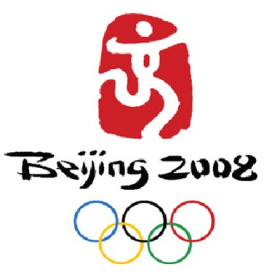 Originally scheduled to be hosted by China, site of the first World Cup in 1991, the tournament was moved to the US by FIFA in May of 2003 after the SARS outbreak. But while the US found some measure of revenge when they defeated Norway 1-0 in the quarterfinals, they were defeated 3-0 by eventual World Cup winners Germany in the semifinals. Only weeks before the start of the 2003 World Cup, WUSA—the world’s first women’s professional soccer league, started in the glory days following the 1999 World Cup win—had announced it was folding shortly after the conclusion of its third season. For five players who had been at the heart of the women’s national program since its start–Brandi Chastain, Joy Fawcett, Julie Foudy, Mia Hamm, and Kristine Lilly—the Athens Olympics would be their last tournament together. After automatically qualifying for the previous Olympic tournaments as either the host country or reigning champion, the US outscored their opponents in CONCACAF qualifiers 24-2 en route to the Athens games. There they were grouped with Greece, Australia, and Brazil. The US opened group play on August 11 with a 3-1 victory over Greece. Newcomers Shannon Box and Abby Wambach scored in the 14th and 30th minute, respectively, and the veteran Hamm finished the scoring in the 81st minute. Three days later they defeated Brazil 2-0. This time Hamm scored first in the 58th minute with Wambach finding the back of the net twenty minutes later. A 1-1 draw—Lilly scored in the 19th minute—saw the US through to the quarterfinals where they would face Japan on August 20. In front of a sparse crowd of only 1,418, the US went up late in the first half with another goal from Lilly only to see Japan equalize three minutes into the second half. Wambach scored the game-winner in the 58th minute to send the US into the semifinals on August 23. There they would meet Germany, the team that had beaten them less than a year before in the World Cup semifinals. Against Germany, the Lilly-Wambach partnership bore fruit when Lilly volleyed home a Wambach pass in the 32nd minute to put the US up 1-0. The US would dominate the rest of the match but could not find the final moment of quality to put the game out of reach for the Germans. They would pay for this when Germany scored the equalizer two minutes into stoppage time to force the game into extra time. Tournament rules now stipulated that there would be no golden goal—the entire 30 minutes of extra time would be played out regardless of who scored first. With play now wide open with both teams pressing for a winning goal, the US broke through nine minutes into the first period of extra-time with a goal from Heather O’Reilly who, after earlier clanging an effort off of the crossbar, now buried an end line pass from Hamm. The US held on for the remaining 21 minutes to claim the 2-1 victory and their spot in the finals. The August 26 final would pit the US against Brazil, who they had earlier defeated in group play. In a gritty match that featured 47 fouls, Lindsay Tarpley scored first for the US in the 39th minute. In the second half, the US pulled back to protect their lead and Brazil began to dominate. Finally, Brazil broke through to equalize in the 73rd minute. With the post proving to be a welcome 12th defender on the pitch for the US, the game entered extra time. Three minutes from the end of the first extra period, Wambach headed in a Lilly corner kick to give the US the winner and the gold medal. The US found disappointment at the 2007 World Cup in China, being routed 4-0 by Brazil in the semifinals to finish in third place. Two months after the disappointing World Cup campaign Pia Sundhage replaced Paul Ryan as head coach of the team. 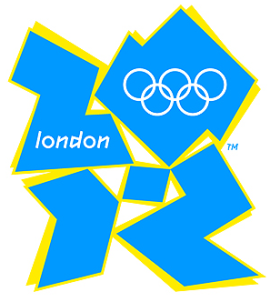 She would have only nine months to ready the team for the 2008 Games in Beijing. The CONCACAF qualifiers had proven easy in the beginning, the US outscoring its opponents 11-1 before Canada, though they ultimately were defeated, forced the US to penalty kicks in the final qualifier. At the Olympics, the US were drawn with Japan, New Zealand and Norway. There they would be without Wambach—the team’s leading scorer and then just one goal shy of her 100th international goal. In an exhibition game against Brazil on July 16, the last game before the start of the Olympics, Wambach had suffered a broken leg in a collision with a Brazilian defender. The US got off to a shocking start at the Olympic Games, losing 2-0 to Norway on August 6 but then bounced back with a 1-0 win over Japan on August 9 thanks to a Carli Lloyd goal in the 27th minute. The US next faced New Zealand on August 12. A win would assure them of at least second place and advancement to the quarterfinals and they did not disappoint. A goal in the first minute from O’Reilly was followed by a goal from Amy Rodriguez in the 43rd minute. In the 56th minute, Tarpley made it 3-0. Four minutes later, Angela Hucles scored to make it 4-0. While the US was defeating New Zealand, Japan was thumping Norway 5-1 in the other final game in the group and the US would finish first in the group above Norway on goal difference. Because they had finished on top of the group, the US was able to avoid Brazil, who would go on to defeat Norway 2-1, in the quarterfinals. But the US had drawn Canada, the team that had forced the CONCACAF qualification final to penalty kicks. Hucles scored in the 12th minute to give the US the lead, but Canada equalized in the 30th minute. In between, play had been halted in the 19th minute when a lightning storm forced an hour-and-forty minute delay. The US would dominate the second half but could not find the decisive goal to settle the contest and the game went into extra time. With Canada looking to play for penalty kicks, Natasha Kai scored in the 101st minute with a diving header. Canada could find no response and the US was through to the semifinals on August 18 to face Japan. Japan opened the scoring in the 17th minute in front of a crowd of 50,937. The US answered with two goals in a three minute span with Hucles scoring in the 41st minute and Lori Chalupny netting in the 44th minute. If the US had started flat, they showed their mettle in the second half and O’Reilly put the game out of reach with a looping shot in the 70th minute. While Japan would get a goal back in stoppage time, the 4-2 victory for the US set up a replay of the 2004 final against Brazil. While both teams would have chances, it was a case of the well-organizing US defense bending but not breaking in the face of Brazilian technique and flair. Once again the match went to extra time. Then, in the 96th minute, Rodriguez laid the ball off just outside the left corner of the box for Lloyd. Splitting two defenders, Lloyd delivered a vicious dropping shot into the corner of the net. The US women had again won the gold. The US entered the 2012 Olympics after a stinging defeat in the 2011 World Cup final to Japan. But the team showed its resilience during the CONCACAF qualifiers for the London Games, outscoring its opponents by an astonishing 38 goals to none. Drawn into Group G, the team opened the tournament on July 25 in front of 18,090 fans at Hampden Park in Glasgow against France. And after 14 minutes of play, they were down 2-0. Down, but by no means out. Abby Wambach scored in the 19th minute and in the 32nd minute, Alex Morgan leveled the scoreline, which remained at 2-2 at the end of the first half. In the 56th minute, Carli Lloyd, who had entered the game as a first-half substitute after an injury to Shannon Boxx in the 17th minute, scored what proved to be the game winner with a strike from distance. In the 66th minute, Morgan scored again and the US saw out the 4-2 win. Next up for the US was Colombia on July 28, again at Hampden Park, this time in front of a crowd of 11,313. The US took a 1-0 lead into the beginning of the second half after Megan Rapinoe scored in the 33rd minute. A Wambach goal in the 74th minute was followed three minutes later by a goal from Lloyd, who started the game, and the US finished the match 3-0 winners. 29,522 were on hand when the US faced the dogged defense of North Korea at Old Trafford in Manchester on July 31. Wambach’s 25th minute goal would be the only tally of the day, but the US was onto the quarterfinals, taking all nine points from group play for the first time in the team’s Olympics history. In the quarterfinals, the US faced New Zealand in front of 10,441 at St. James Park in Newcastle on August 3. Wambach opened the scoring in the 27th minute, her fourth goal in as many games in the tournament. The game ended in a 2-0 victory for the US after Sydney Leroux scored in the 87th minute. In the semifinals in front of a crowd of 26,630 at Old Trafford on August 6 against CONCACAF rival Canada. When the teams had met in the final of the CONCACAF qualifying tournament on January 27 in Vancouver, the US had romped their way to a 4-0 win thanks to a pair of braces from Morgan and Wambach. This time, the US found themselves behind for the first time since their group play opener against France after a Christine Sinclair goal in the 22nd minute. Canada would hold the 1-0 lead until Megan Rapinoe’s olympico goal directly from her corner kick in the 54th minute. A furious six minutes of goals began in the 67th minute when Sinclair headed goal gave Canada a 2-1 lead. Three minutes later, Rapinoe’s long distance strike again leveled the scoreline only for Sinclair to strike again with another headed goal to make it 3-2 for Canada. A classic was in the making, and the decisive moment would come when referee Christina Pedersen awarded the US an indirect free kick after whistling the Canadian goalkeeper for time wasting. Tobin Heath tapped the ball to Lloyd, whose kick struck the arm of a Canadian defender. Wambach then buried the resulting penalty kick with ten minutes to play. With the score level at 3-3 the game went into extra time. Each team had chances to take the lead through the 30 minutes of play that followed but neither could convert, including a header from Wambach that was denied by the crossbar in the 119th minute. With 30 seconds remaining in the final three minutes of stoppage time before the game would be forced to go to penalty kicks. Morgan rose to deliver a fading header from Heather O’Reilly, who had entered the game in the 101st minute to give the US the 4-3 victory. The win over Canada was one for the ages, but the US still had to face Japan in the final at Wembley Stadium in London on August 9. 80,203 spectators were on hand as Carli Lloyd gave the US the lead with a headed goal in the 8th minute. In the 54th minute, Lloyd would solidify her legend in tournament finals when her 25-yard dribble ended with a blazing goal from 20 yards out. Japan’s Yuki Ogimi made it 2-1 with a goal in the 63rd minute and despite some scares the US held on for the 2-1 win to claim Olympic gold for the fourth time and third time in a row, making them the winningest national team in Olympic soccer history. In September of 2012, Pia Sundhage announced she was stepping down as head coach of the US women’s team and Jill Ellis was announced as interim head coach until the hiring of Tom Sermanni beginning in January of 2013. After going undefeated in 2013, the team failed to win a group game at the 2014 Algarve Cup. Soon after, Sermanni was fired and Ellis was named head coach. On July 5, 2015, The US and Japan faced off again in the final of the Women’s World Cup in front of 53,341 spectators at BC Place in Vancouver. Carli Lloyd would score goals in the 3rd, 5th, and 16th minutes to complete a first half hat trick on the way to a comprehensive 5-2 win. The US Women’s National Team breezed through the CONCACAF qualifiers for the 2016 Games in Rio, outscoring its opponents 13 goals to 0, including a 2-0 win over Canada in the final, and now begins its campaign to become the first team to win the Olympic championship after winning the Women’s World Cup with group play against New Zealand, France, and Colombia. A version of this article was first published on July 25, 2012.